As we all know – or as we all should know – prolonged exposure to the sun is simply bad for the skin. Now, that we’re in the middle of summer, it’s natural for us to want to be outside more often. But going outside without any sunscreen – especially during the sun’s peak hours – is very dangerous for your skin’s health. Nevertheless, many people have done this for many years. 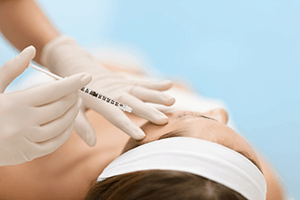 Kelowna Botox injections may be your answer. In fact, there was a time when people didn’t even think of putting on any sunscreen regardless of how long they were out in the sun. To be honest, it is still that time for many people. So sadly, even though we have learned a lot about how damaging the sun’s UV rays can be, so many of us are still destined to have sun damaged skin. Thankfully, there is help when is the case. Botox is a prescription medicine that is injected into muscles of the face to help improve the look of sun damaged skin. But how can you tell if skin has been sun damaged? Some symptoms include rough and dry skin lesions, patches or growths on the skin, localized growths on the face, scalp, back of the hands, chest or other commonly sun-exposed areas as well as grey, pink, red or flesh-colored discoloration. At some point, no amount of moisturizers and lotions will be able help sun damaged skin return to its smooth state. So how does Botox actually help? When injected by an experienced physician, Kelowna Botox Injections work by blocking nerve impulses to muscles. What this does is reduce the muscle’s activity so that lines in the damaged skin are less likely to form. These are known as dynamic lines. By blocking the muscles signal to contract, they get to rest. By resting, the skin remains in place and in a smooth state instead of wrinkling up. Over time, the skin will look smooth. And just as importantly, it will look natural. This is the importance of always using an experienced physician to administer Kelowna Botox Injections. Professional doctors know exactly how much of the medication to inject and exactly where it should be injected. 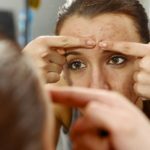 Kelowna Botox injections have sometimes gotten a bad rap thanks to non-licensed practitioners who, quite honestly, don’t know what they’re doing. When you inject the wrong amount of medicine in the wrong places, it may cause drooping among other facial abnormalities. Dr. Russell Kridel demonstrates the steps that an experienced physician takes during a treatment involving Botox injections. Step #1 is the patient evaluation. 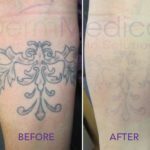 This gives the doctor accurate information about where the Botox should be injected, as well as how much to get the desired results. Step #2 is where numbing cream is applied to comfort the patient. Step #3: injection areas are marked. Step #4 notes that patients can have a dental block done as well. And the all important Step #5 is where great skill and care is used for all of the Botox injections. If you have any questions about any of these steps, be sure to call DermMedica toll free at 1-866-861-3070, or if you are in Kelowna, call 250-868-3070.